Here are five easy ways to jump-start your reading goals with your child and set them on the path to Kindergarten-readiness. 40% say they "can't find the time in the day"
Four in 10 say "it's easier to find video games than books for their child"
50% feel age-appropriate books are "too expensive"
We see these numbers as an opportunity to challenge ourselves and you to find ways to Read More! Here are five suggestions to help you jump-start your reading journey with your child. That's right set a timer. 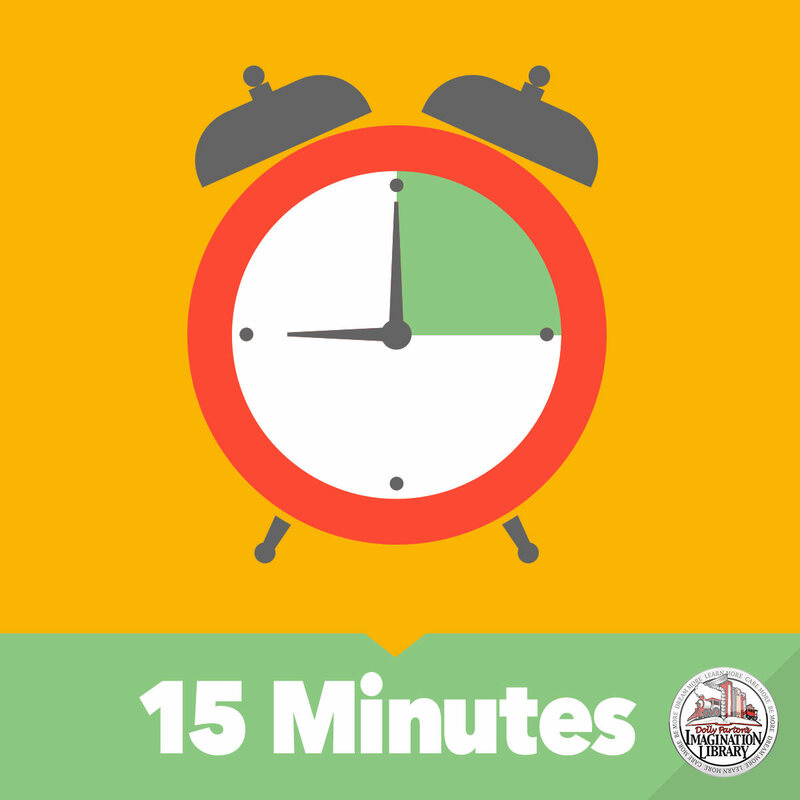 Depending on your child's age and the length of books you are reading using a timer is the best way to ensure you read for the entire 15 minutes. Use your smartphone, the kitchen timer or a stopwatch. The device is not important but what is important is making sure you devote 15 minutes to reading out-loud with your child each day. Bedtime is a great time for reading, but it may not always work for your family. Consider some alternatives to bedtime reading including bath time, meal time and nap time. Bathtime is a great time for reading to your child especially for kids who can sit up and play independently in the tub yet still need supervision. Reading while they play allows them to be active while listening to the story. Snacktime and meal times provide more opportunities to enjoy books. Getting some kids to settle in for a good nap can be challenging that's why taking 15 minutes to read before a nap can work well. Begin with fun and exciting stories then gradually work your way through to calmer, softer titles and your little one will be resting in no time. Don't let the idea of what storytime is supposed to look like get in the way of your reading goals. We've all seen hundreds of photos of moms, dads and grandparents sitting in a cozy chair reading to a child. But if storytime at your house looks more like your two-year-old standing on his head while you hold the book upside down to show the pictures, don't sweat it. What matters is that you are showing your child that reading is important. Yes, we all know that one book you have read so many times you know it by heart and so does your child, regardless of their reading ability. Repetition matters and helps children retain knowledge and forms a bond with them and the book. Let them recite along with you and encourage them to "read" it on their own. The best encouragement any parent can get is from another parent. Ask your friends about their child's favorite books. Make reading a part of your playdates and talk to your friends about their reading goals. By sharing the importance of reading out loud every day for 15 minutes, we can all work to help give our children the best possible start to their life-long learning journey. Read the full survey results from Read Aloud.